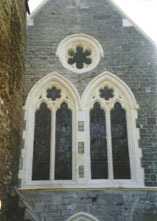 St. Mary’s Church – East Looe, Cornwall. 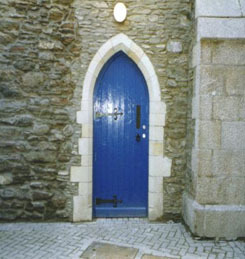 Client : West Country Housing Association. 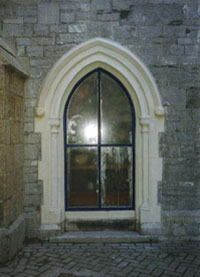 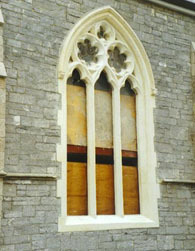 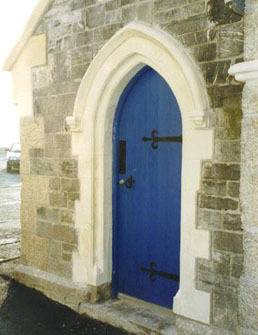 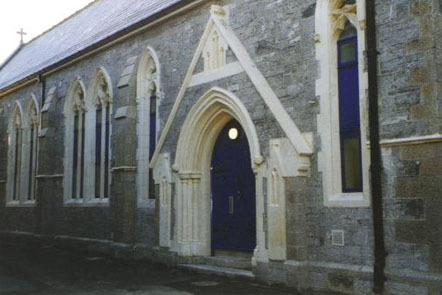 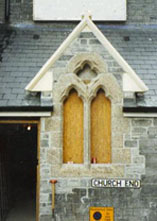 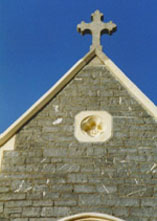 The Church of St. Mary in East Looe was dedicated in 1259 by Walter Bronscombe, Bishop of Exeter. 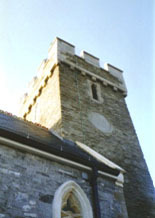 It eventually fell into disrepair and was re-built around 1805, although the original Medieval tower still remains. 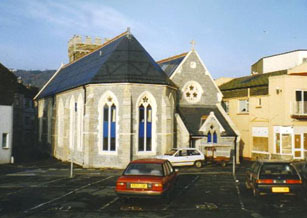 It was purchased by the Westcountry Housing Association and converted into sheltered accomodation in the 1990’s. 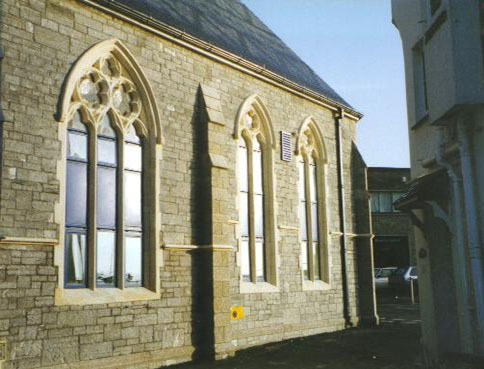 We were asked to lower the window sills of all the windows by about 3 feet in order that natural light could be provided to the accommodation on the ground floor. 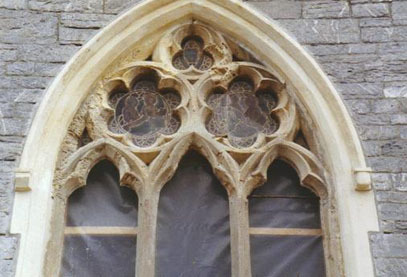 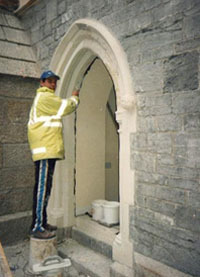 On completion of lowering the sills and making good the adjoining stonework, we then went on to restore badly deteriorated sills, jambs, mullions and tracery to all of the Beer stone windows and doorway entrances throughout this Grade II listed building. 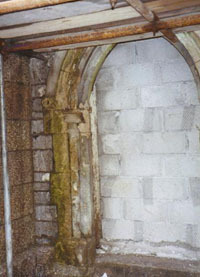 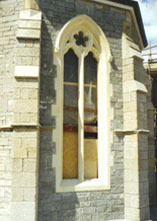 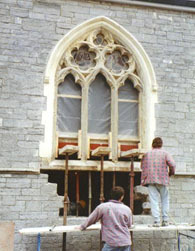 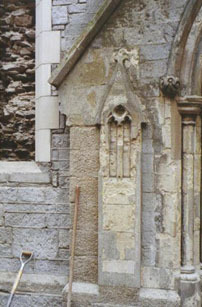 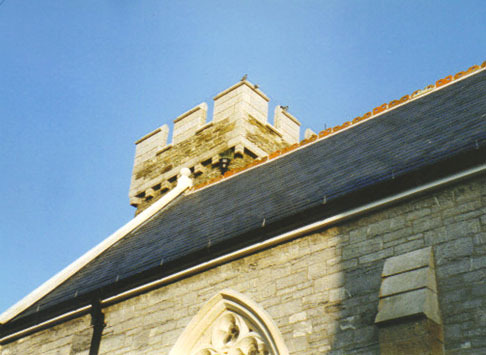 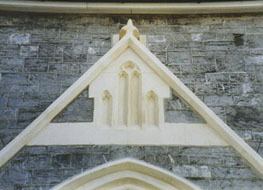 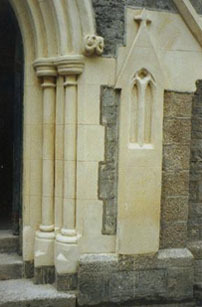 The Gothic door opening to the Medieval tower was moved and rebuilt to form a fire escape and the whole tower was completely repointed along with stabilizing work carried out to the copings on top. 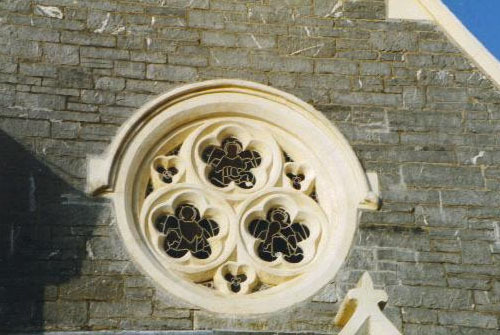 Trefoils and cinquefoils within a circular window.